Well kept open concept ranch style condo/townhome. Layout includes more than 2100 sq. 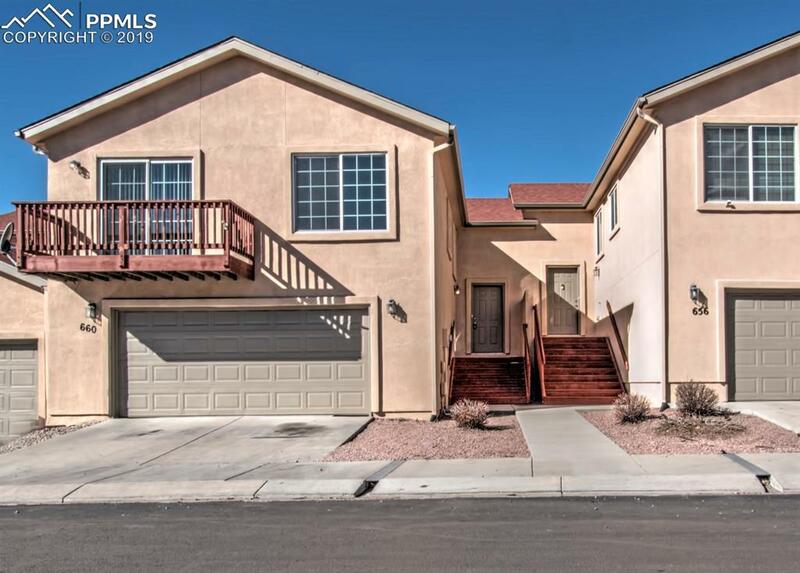 ft, 3 beds, 3 baths, and an attached oversized two car garage with opener. This community offers class with stucco siding and amazing views from the back side of the property. Newer amenities including upgrades stove and fridge, also includes a dishwasher, microwave oven, and lots of storage. Well kept, and ready to move in. The large, well laid out condo/townhome has three spacious bedrooms and bright bathrooms. Large laundry room, and big walk-in closets. Lots of common areas throughout the community for children and pets to play and enjoy Colorado's great outdoors. Maintenance free gated community will ensure you enjoy comfort and convenience instead of chores. Conveniently located with easy access to I-25, Hwy 24, and mins away from Fort Carson & Peterson. Quick access to Academy and Powers Corridor shopping, restaurants, playgrounds, dog parks and schools. This is a MUST SEE. Listing provided courtesy of Peak Properties Of Colorado.